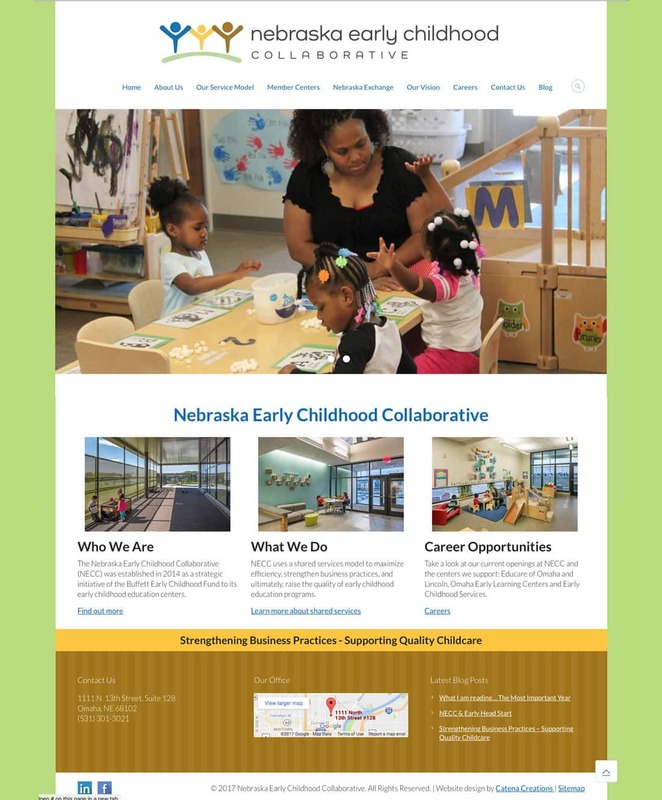 Catena Creations designed the new website for the Nebraska Early Childhood Collaborative (NECC) in May 2017. This organization was established in 2014 as a strategic initiative of the Buffett Early Childhood Fund. NECC was designed to provide back office and consulting services for early childhood development and care centers. The NECC did not have a website before this, so the site was built from scratch. Working with their bright logo, we created a child-centric site that explains the NECC mission for those seeking employment through the group. The NECC provided photos and text, which we edited for use on the web.